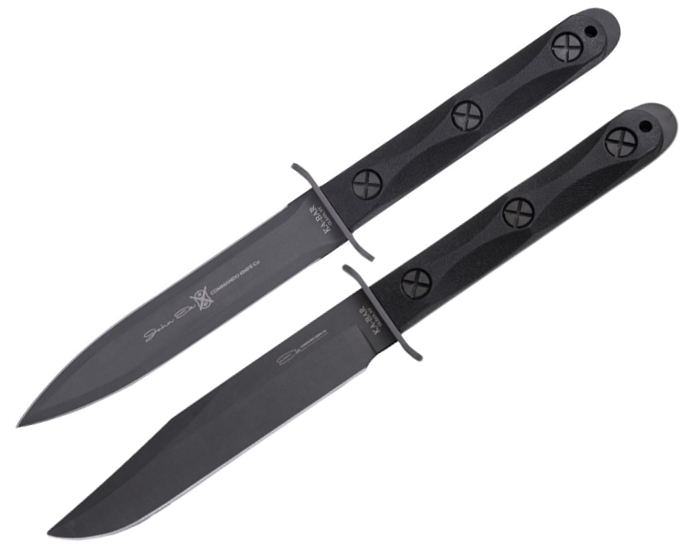 KA-BAR is excited to introduce it's much anticipated John Ek Commando Knife Co. products. These updated versions of the old jungle fighting knives are made from 1095 Cro-Van and features parkerized blades, textured glass-filled nylon handles and traditional X-head fasteners. A US-made Celcon® sheath with retaining strap, self-locking function and multiple tie-down points is also included. Made in the USA.